It has been an exciting week for volunteering at SUSU, as we’ve gradually revealed the nominees for this year’s Excellence in Volunteering Awards. 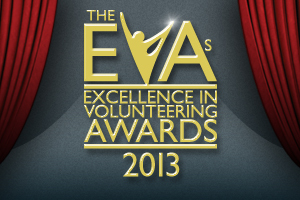 You can now view the full list of nominations right here on our website or by visiting www.susu.org/evas. The winners in each category will be revealed at a glitzy awards night in The Cube on Friday 3 May, and you can get tickets for the event right now from www.susu.org/boxoffice or in person from The Box Office at Reception in Building 42. We’re all looking forward to an exceptional night, and can’t wait to reward and recognise the outstanding work of our volunteers!